After completing the Attack phase, the next part of the Dukan Diet is the Cruise phase. During this phase you are allowed to add some new foods to your diet and you will alternate between pure protein days, like you did on the Attack phase, and also protein and vegetable days. Most people find they lose around two pounds weekly on the Cruise Phase and it should be continued until you reach your target weight. Depending on how much weight you have to lose, this could be a few weeks or a few months. 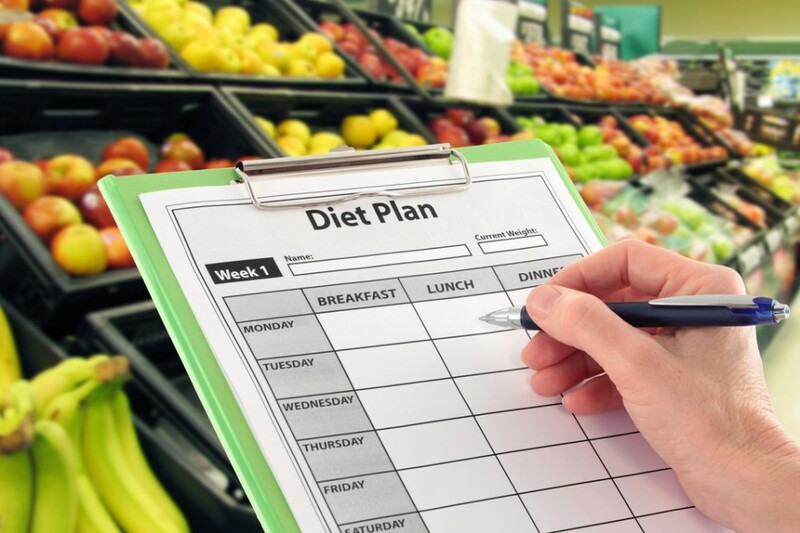 However sticking with the plan is well worth it because following the Dukan Diet not only helps your body lose weight in the short term but also helps long term weight loss by teaching your body new eating habits. How Does the Cruise Phase on the Dukan Diet Work? During this phase you can choose what Duakn rhythm you would like to follow. Choose carefully at the beginning because it is best to stick to one single pattern. For most people the one day cycle works best, but you may also choose to complete 5 day cycles or 2/5 day cycles. Here are your three options for following the Cruise Phase correctly. Option 1 – Five Days Pure Protein and Five Days Protein Plus Vegetable: This was the first cycle using by the Dr. Dukan for the Cruise Phase of the diet. Under this option you alternate between just eating pure protein for five days and then eating protein and vegetables for the next five days. This continues until you reach your true weight. Since for many it is difficult to only eat protein for that long, Dr. Dukan developed another option. Option 2 – One Day Pure Protein and One Day Protein and Vegetables: This new Cruise Phase cycle allows the dieter more flexibility since they can eat protein and vegetables every other day. Weight loss is similar as to the previous option but it is much easier to stay on the plan. Many dieters also appreciate the variety that this option allows. Option 3 – Two Days Pure Protein and Five Days Protein and Vegetables: The final option is best suited for people who are older or who are not trying to lose a large amount of weight. Since the time on the protein and vegetable cycle is longer on Dukan cycle, weight loss will be slower. However weight loss will happen so if this is the only plan you think you can stick to then it is worth it. What Can I Eat During the Dukan Diet Cruise Phase? No matter what option you choose on the Dukan Diet during the Cruise Phase, you will be able to create meals out of the same list of Dukan Diet foods. Just like the Attack Phase, you can eat as much as you want during the Cruise Phase as long as it is from the list below. During pure protein days you will eat just as you did during the Attack phase, choosing only from the proteins listed below. During the protein and vegetable days you can choose to eat foods from both the protein list and the vegetable list. Are There Any Rules I Need to Follow During the Cruise Phase? Just like the Attack Phase, the Cruise Phase in the Dukan Diet also has specific rules you must follow to get the most out of your diet and lose the most weight. This rules are simple to follow and will help your body adjust and learn healthy life long habits. Move for thirty minutes daily. Most people choose to just take a 30 minute brisk walk to meet this requirement. What Would an Attack Phase Meal Plan Look Like? There is an endless combination of foods that you could eat during the Attack Phase but here are some examples of Dukan meal plans you could try.